3: TO WHAT EXTENT ARE WE TEACHING OUR KIDS TO SHARE? I went to school with my son Zeke one day when he was almost 2 years old, and I remember being surprised by the number of skirmishes that erupted when multiple boys claimed ownership of the same balls. Even though the balls were communal and meant to be shared by everyone in the school, Zeke and his friends wanted to possess the balls themselves. Sharing a ball is not an easy thing to do or to teach. The act of playing catch requires relinquishing possession, repeatedly. What is mine and thine, as philosopher Win-chiat Lee says, is blurry when one shares, and it’s blurry when one plays catch. Zeke’s teachers didn’t force them to play catch, but they did encourage them to take turns. They didn’t allow anyone to hoard or steal. They enforced and taught their vision of the kind of sharing that was appropriate for the kids in their class. There’s tremendous variation in different classrooms about the values that are being taught, and there’s a long history of ambivalence in our country about whether values should even be taught in our schools. However, it’s clear that values have always been taught, since they are embedded in everything that we say and do. Education scholar Joe Milner describes how the McGuffey Readers, which were used as early as 1836 in so many of our public schools to teach our kids to read, explicitly promote values like cooperation and sharing. Sometimes we seem to be teaching opposing ideologies. On the one hand, as Robert Dreeben explains, the very structure of our schools teaches kids that they are one among many. On the other hand, we often tell children that they are special and unique individuals. It’s certainly possible to celebrate the individual and the group at the same time, but it’s a precarious balancing act. If we promote individualism too much, then we are at risk of encouraging selfishness. If we want to teach our kids to share, then we have to value the Other at least as much as we value the Individual. 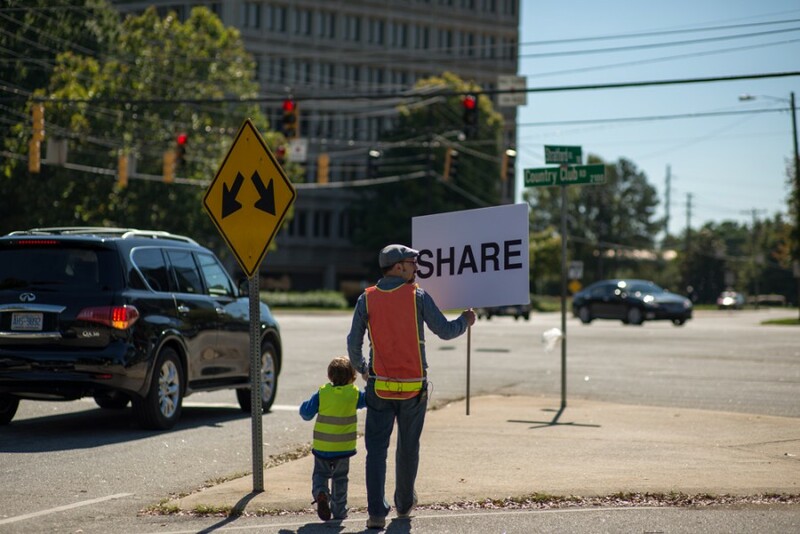 Jeffrey Faullin, principal of Brunson Elementary School in Winston-Salem North Carolina, believes that while we may be teaching our kids to share in certain ways, a hidden curriculum teaches the opposite. Corporate advertisement preaches that individual consumption and accumulation are the keys to happiness. The American Dream promises this vision of happiness to all of us, as long as we are able to beat the competition. Then our schools present a structure for this competition to take place. When I was in elementary school, I must not have understood that school was the ticket to the American Dream. I kept getting kicked out of class, and I would have failed all of my exams if my friends hadn’t shared their exam answers with me. This (problematic) kind of sharing soon stopped. My classmates and I realized that only some of us would make it into honors classes and only one of us would become valedictorian. Many would not be accepted into the most exclusive colleges. So, we strove to differentiate ourselves from our peers. We continued to share notes with each other and we worked together on group projects, but our individual agendas became our dominant preoccupations. We competed more and shared less. On the basketball court, we faced similarly confusing dilemmas about sharing and competition. I was the starting point guard, and it was my job to share the ball with my teammates and steal the ball from the opposing team. We won more games when we played selflessly and made the extra pass, as long as we didn’t forget to be ruthless competitors towards the other team. Thankfully, I’m more able to deconstruct all of these mixed messages about sharing than I was when I was a kid, but now I’m overwhelmed by the enormity of trying to teach Zeke to share when he is bombarded by at least as many contradictory ideologies as I was.